This warm and inviting home features a family room w/ gas fireplace, formal dining w/built I shelving, spacious dining nook and large great room. Beautiful and well thought out open floor plan has plenty of natural light, coffered ceilings, vaulted ceilings, natural hardwood, and carpet. Spacious master suite w/ walk-in closet w/ body mirror, and plenty of built-ins. Utility sink and storage shelving in the garage. The backyard is generous in size, and features a large lawn, a large covered patio w/ ceiling fan, hot tub hookups and lots & lots of spqce for your imagination, playset, pool, firepit! Plenty of parking for your toys, boat and RV. Amazing floorplan inside, incredible and homey outside! Exterior paint new within 1 year. 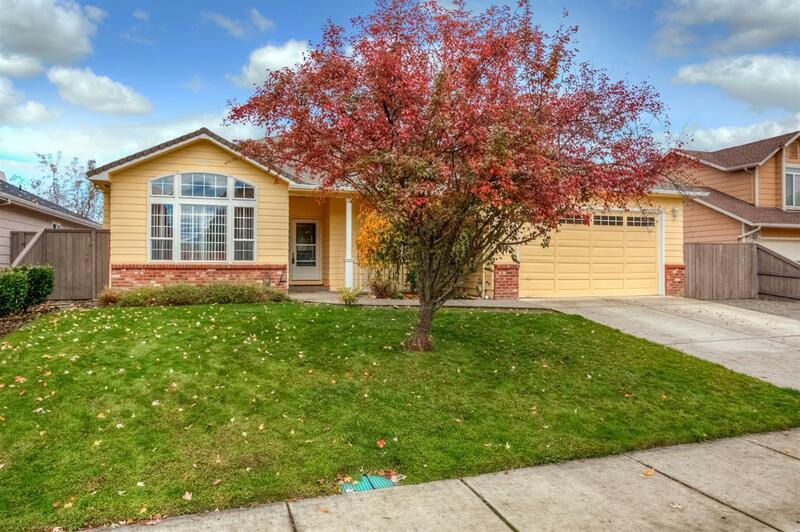 Desirable neighborhood centrally located to Central Point, Medford and White City near I-5, Hwys 62 and 99. Close to Don Jones Memorial Park / Splash Park, and Jewett Elem offers 2 Spanish immersion classes, a rare find in Jackson County.